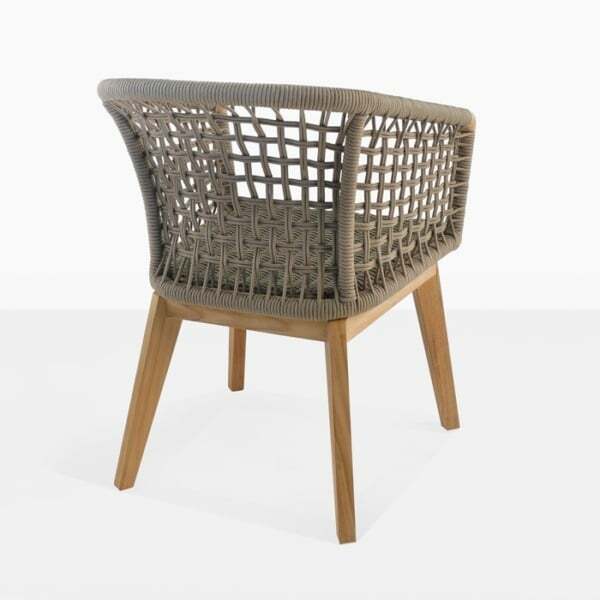 The Ravoli Woven Dining Chair is a great example of how amazing design, quality materials and expert craftsmanship can come together to make a truly stunning chair. This chair will inspire you to use your outdoor dining space as often as you can. The chair frame is made with premium a-grade teak; this sets the stage and allows the beautifully woven tub-style seat to shine. 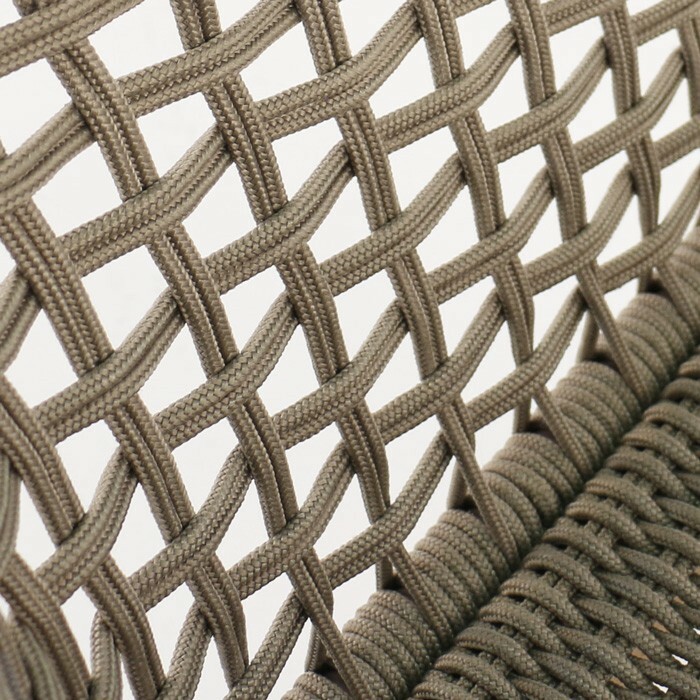 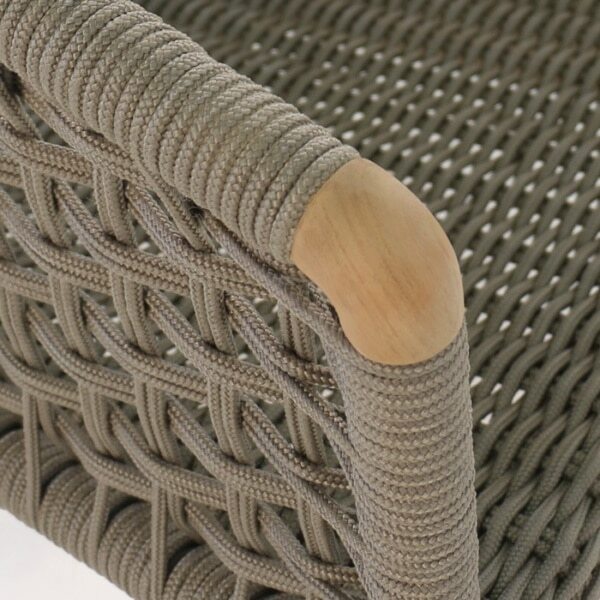 The rope that is woven around the frame is Sunbrella®, which makes it strong, durable and fade resistant. 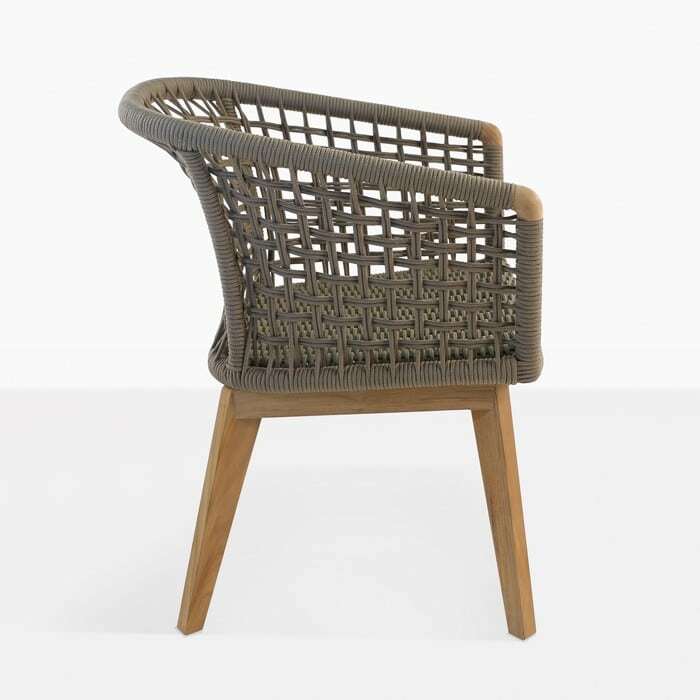 W23" x D24.5" x H30.5"
The Ravoli outdoor dining chair will go with any of our a-grade teak dining tables, or you can even pair it with our raw concrete dining tables. 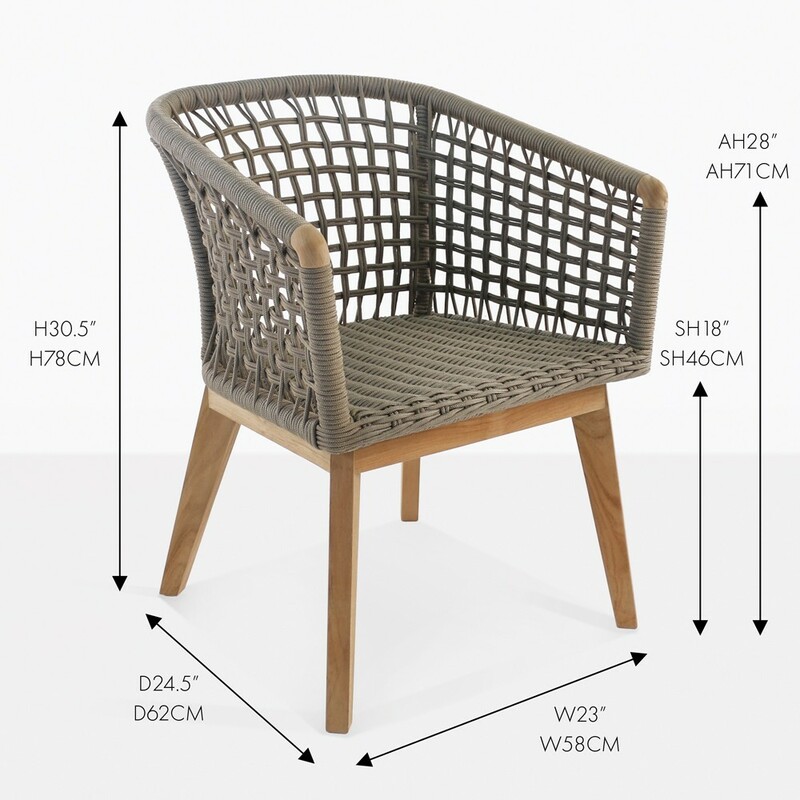 At Teak Warehouse you can create any dining set combination that you like, the choice is yours.